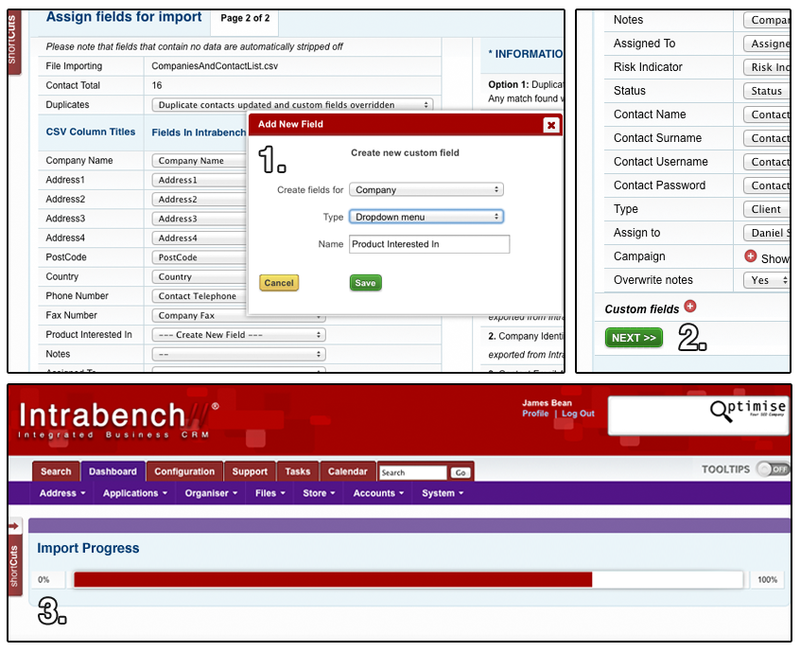 Thank you for selecting Intrabench // integrated business CRM. Here's a quick overview of what you need to do next and pointers to other resources. In order to import your contacts first you will need to have your contacts stored in a Comma Separated Values (CSV) file. 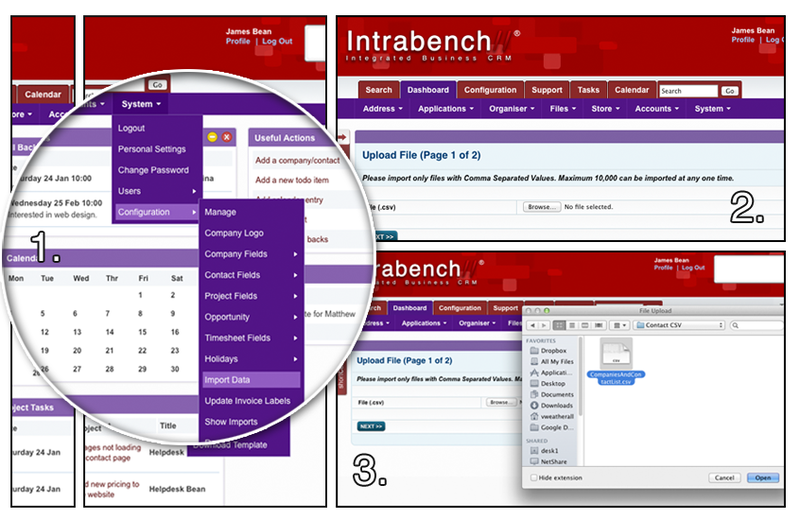 Within Intrabench Navigate to: system > configuration > import data to begin. Select browse and find the CSV file your wish to import on your computer. You will now be presented will various commonly used fields which may be applicable to you, For each field select the corresponding one to your CSV file e.g Address line one may correspond to flat/door number in how you have organised your data. If you have fields which do not coincide with existing ones you will have to create a custom field. 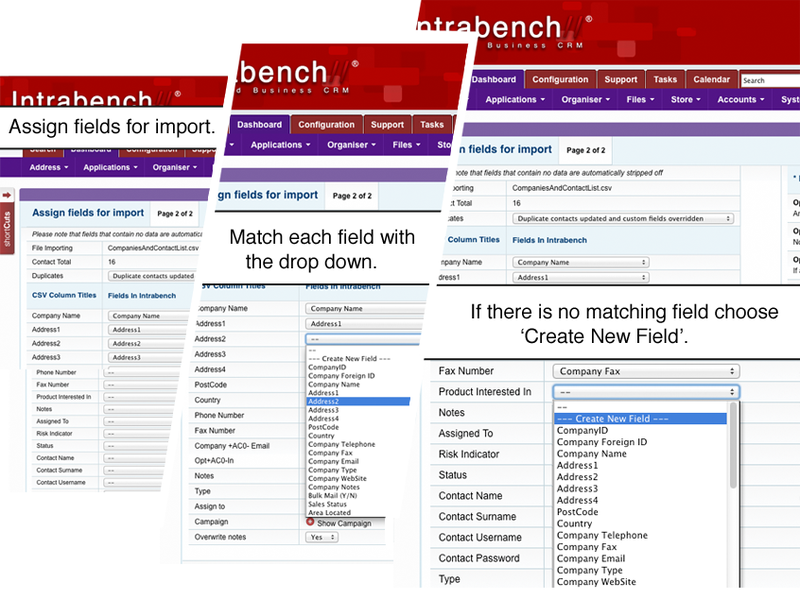 Select the option in the drop down which reads 'Create New Field'. This will cause a new window to popup displaying options to create a new field. Change the type to the most relevant, name and save your new field. Follow this procedure until you have all your desired fields and then click next to complete the import. A loading bar will indicate the progress.